SACRAMENTO — The revolving door among political consultants, community organizers and state government revolves right into the governor’s office and the Agriculture Labor Relations Board. In 2011, Gov. 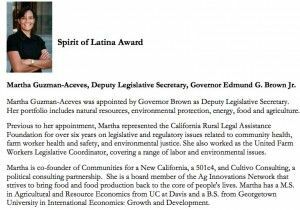 Jerry Brown appointed Martha Guzman-Aceves deputy legislative secretary for agriculture, environment and natural resources. Before that, she was a founding partner of Cultivo Consulting, which says it engages in lobbying, political campaigning and community organizing in California. 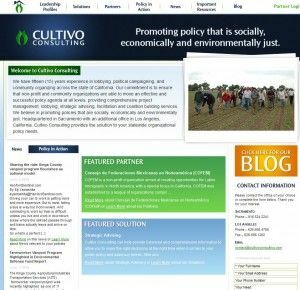 It's a lobbying and outreach firm specializing in social, economic and environmental justice. Alegria De La Cruz was appointed by Brown on Dec. 13, 2011 as Regional Director for the Agricultural Labor Relations Board. She was Guzman-Aceves’ partner in the CNC Education Fund. She previously worked for the Center on Race, Poverty and the Environment as a staff attorney. 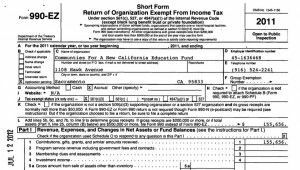 Prior to the center, De La Cruz worked for the California Rural Legal Assistance Foundation as a staff attorney. I spent four hours earlier this month with nearly 700 farm workers protesting the state forcing them to join the United Farm Workers union. They made an appeal to the governor at his office. Silvia Lopez, leader of the farm workers' group, thought Brown invited her and five other farm workers to meet with him. Instead, Brown sent them Guzman-Aceves, who as noted above was a former UFW official. At the end of the meeting, Guzman-Aceves offered to contact Silas Shawver, the Visalia representative for the Agricultural Labor Relations Board. This frustrated and angered the farm workers. They said Shawver has been instrumental in forcing the UFW on them. Guzman-Aceves offered no other help. Shawver used to be an attorney with California Rural Legal Assistance. Guzman-Aceves also worked for CRLA, as did her associate, Alegria De La Cruz. 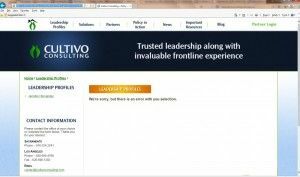 So did Jennifer Hernandez, Guzman-Aceves' partner in Cultivo Consulting. Shawver is godfather to De La Cruz’s child, according to a story on the Western Growers website. And Shawver worked with De La Cruz at the CLRA as staff counsel, specializing in wage claims against agricultural employers. Shawver now works for the ALRB as Regional Director in Visalia. However, while Guzman-Aceves has served as a public official in the Brown Administration, CNC lobbied the Legislature and governor’s office on various issues, including AB1081, federal immigration policy enforcement. AB1081's bill analysis shows CNC listed among the supporters. 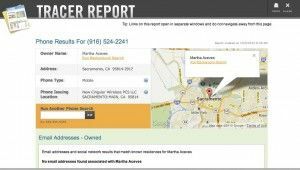 She used a residential address located in a Sacramento neighborhood on the non-profit IRS form, which is on the Guidestar rating website for CNC. 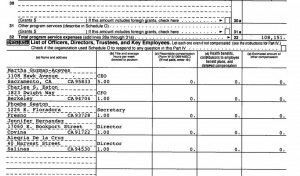 And someone at the CNC received $14,740 for “travel, meetings and auto” expenses, the IRS tax return reported. 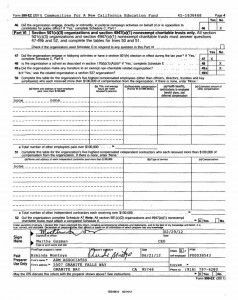 On the IRS form, CNC has a public charity status and checked off the box indicating that it receives a substantial part of its support from the government. The phone number still listed on the website also is revealing: 916.524.2241. 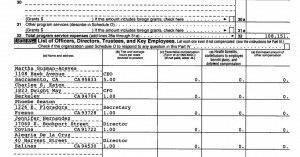 Listed as officers of CNC on the IRS Form 990, along with Guzman-Aceves, are Jennifer Hernandez, Alegria De La Cruz, Phoebe Seaton and Charles S. Eaton. Guzman-Aceves, Hernandez, Seaton and De La Cruz all worked at CRLA.